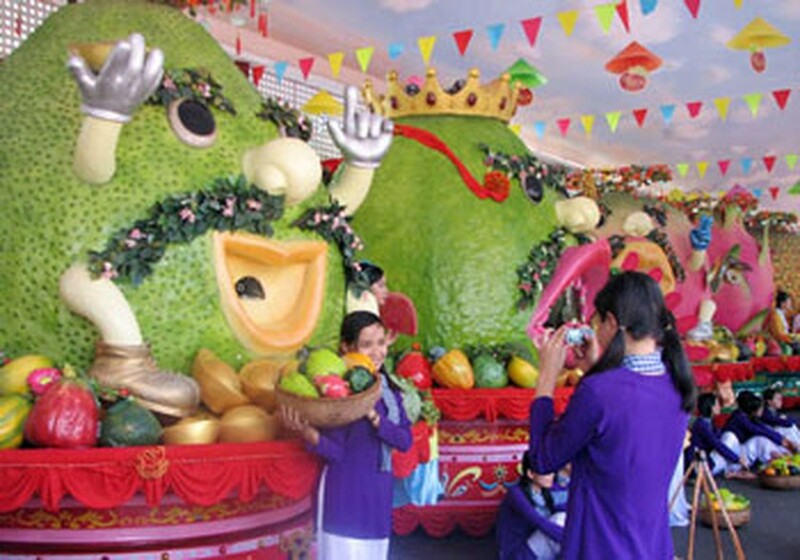 The 14th Southern Fruit Festival 2010 will take place at Suoi Tien Cultural Tourist Area from June 1 to 16. The organizer, the HCMC Department of Culture, Sport and Tourism, will depict a Mekong Delta style floating market, displaying various well-known fruits including Cho Gao red-inside blue dragon, Long Co Co grapefruit, Cu Lao Dung (Dung island) and Cam Cao mangos, Ba Den custard-apple as well as others on 70 boats in the park. Visitors will also have a chance to enjoy more than 30 dishes made with fruit, such as seafood watermelon salad, grilled cuttlefish with mangosteen salad, shrimp and mango stir-fry and more at a food fair in the festival. The festival is an opportunity for localities, garden centers and visitors to meet and exchange ideas about the new seedlings. 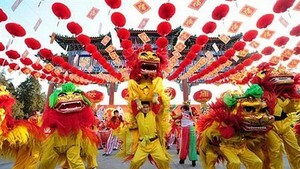 The annual event aims to promote southern fruits to domestic and foreign visitors. Visitors are sure to enjoy the art performances, exciting folk games and varieties of local fruit on display in the festival. They may bemusedly contemplate the assembling of fruit into the shapes of different animals; this type of traditional art is dear to the spiritual life of southern people. On this occasion, Suoi Tien Fruit Market will also be organized at Suoi Tien Park, lasting all three summer months, to introduce tourists to new fruits at discounted prices of 20-40%.